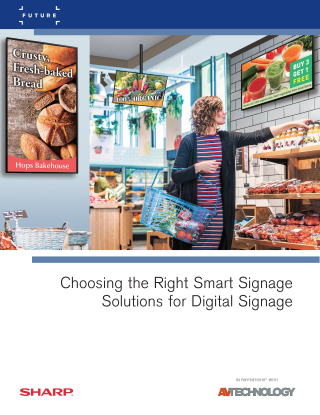 How to select the right kind of smart signage. Why open architecture software platforms allow the most Content Management Software (CMS) partner options. How to improve profitability when planning a major digital signage rollout or on routine illustrations. Why the desire for ‘retail experiences’ is fueling the rise of more cost-efficient solutions.